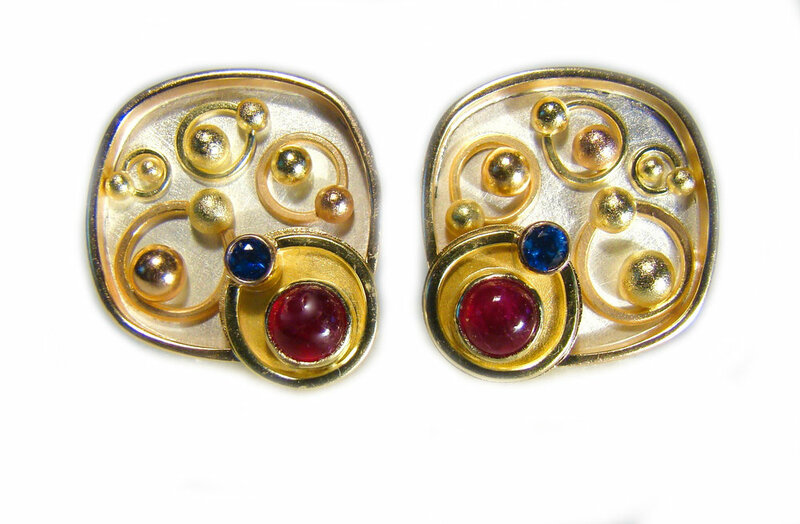 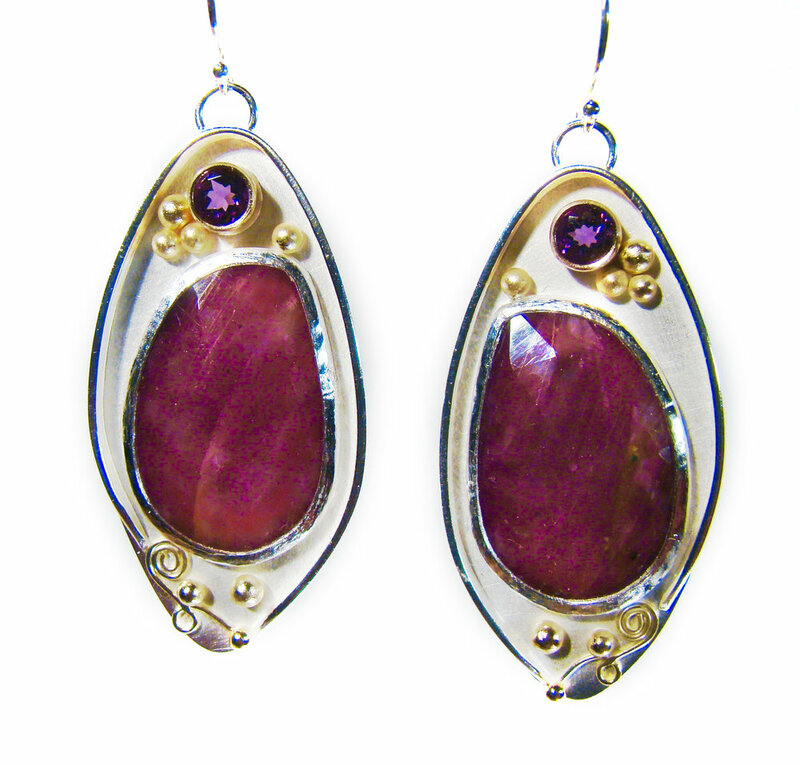 Silver and gold (14,18,22k) earrings with natural colored pink sapphires and 6.5mm pearls. 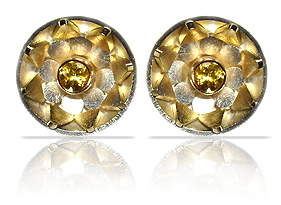 They also feature fabricated fine silver beads set in 14k gold bezels forged 22k gold wires, multi-carat gold granulation and 18k gold connectors. 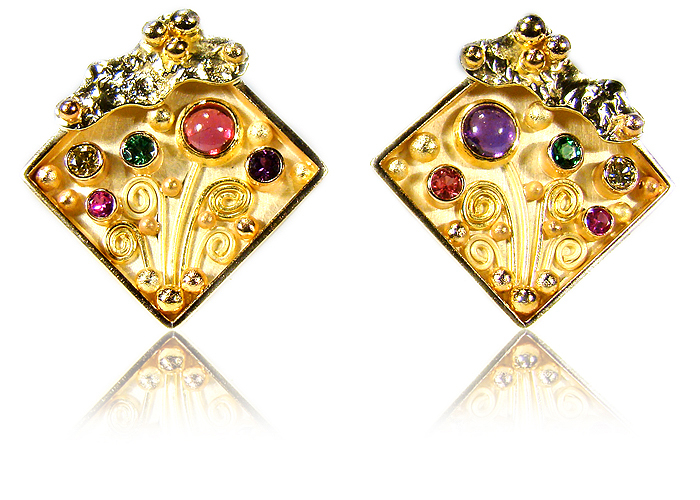 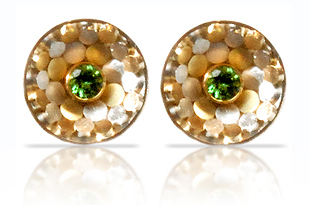 Click on one of the pairs below to see more earring designs.